Welcome to the beautiful Aqualuna Beach Resort for absolute beachfront relaxation. 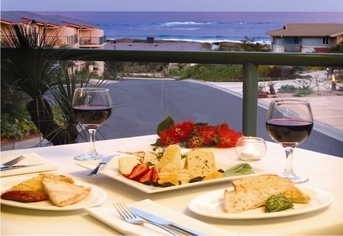 Offering dramatic views of superb Sapphire Beach and the stunning blue Pacific Ocean, this coastal resort features King Studios, One, Two and Three Bedroom Apartments/Villas.All l contemporary holiday apartments are designed for total enjoyment whether you're looking for a weekend escape, a family holiday or conference retreat. It's the perfect place for discovering Coffs Harbour and a host of local attractions or simply doing nothing but relaxing in the total comfort of the resort. Nearby Attractions White water rafting, surf rafting, swimming, surfing, kayaking, Sapphire Beach and creek exploration, whale watching, Coffs Harbour Marina, The Big Banana, The Botanical Gardens, Golf at Bonville International Golf Course, Rainforests walks at Dorrigo National Park, 4WD tours, Pet Porpoise Pool. All King Studio suites have balconies and are non smoking. All units have individual air conditioning, corner spa bath, microwave, iron, iron board, cable television, complimentary car parking, wireless broadband internet, Tea & coffee making facilities, alarm clock/radio. Hot Breakfast is available at $15.00 per person. All One Bedroom Apartments are spacious, contemporary styled and fully self contained. All units have balconies and are non smoking. All units have individual air conditioning, separate dining room and lounge, self contained kitchenettes with dishwasher, microwave, iron, iron board, cable television, complimentary car parking, wireless broadband internet, Tea & coffee making facilities, alarm clock/radio. Hot Breakfast is available at $15.00 per person. 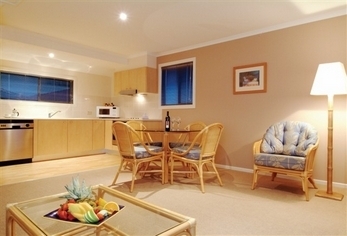 All One Bedroom Ocean View Apartments are spacious, contemporary styled and fully self contained. All units have balconies and are non smoking. All units have individual air conditioning, separate dining room and lounge, self contained kitchenettes with dishwasher, microwave, iron, iron board, cable television, complimentary car parking, wireless broadband internet, Tea & coffee making facilities, alarm clock/radio. Hot Breakfast is available at $15.00 per person. Three Bedroom Apartments are spacious, contemporary styled and fully self contained. Apartments have a balcony, are non smoking rooms, individual air conditioning, separate dining room and lounge, completely self contained kitchen with dishwasher, microwave, washer, dryer, iron, iron board, cable television, complimentary car parking, wireless broadband, Tea & coffee making facilities, alarm clock/radio. Hot Breakfast is available at $15.00 per person. All Two Bedroom Apartments are spacious, contemporary styled and fully self contained. 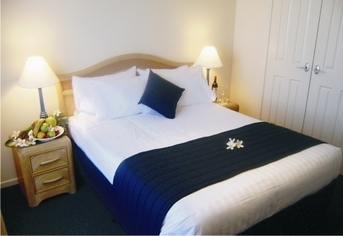 All apartments have a balcony, are non smoking rooms, individual air conditioning, separate dining room and lounge, completely self contained kitchen with dishwasher, microwave, washer, dryer, iron, iron board, cable television, complimentary car parking, wireless broadband, Tea & coffee making facilities, alarm clock/radio. Hot Breakfast is available at $15.00 per person. Free internet access is available in all rooms and lobby. Aqualuna is the ideal conference, meeting or special event resort. Three inter-connecting function rooms combined with panoramic coastal views, also makes this the perfect wedding or special celebration venue. Please contact the property direct if you are arriving after 11pm. We will organise an after hours check in for you. Front desk hours are 7am until 11pm. Charges for additional guests payable direct to hotel. to and from Coffs Harbour. Bushwalking in Pine Creek State Forest or Bongil Bongil National Park and Rainforest walks at Dorrigo National Park.